Our team at the Division of Workforce Solutions provides experienced help to veterans, transitioning service members, and eligible spouses seeking a job. North Carolina, home to nearly 800,000 veterans and several of the nation's most important defense installations, understands the needs and challenges of military life. The state’s official job-search website, NCWorks Online gives veterans access to job postings for 24 hours before they are made available to the general public. The system provides information on training opportunities, local services, and other resources available to veterans. Employers can also search exclusively for candidates who are veterans. Veterans participating in NCWorks Apprenticeships can continue to draw benefits from the GI Bill, even though they are employed as part of an apprenticeship. Learn more about apprenticeships. Contact your NCWorks Career Center to find out more about other resources, programs, and services available. Veterans can also use the NCWorks Veterans Portal to look for jobs and training opportunities in their areas. Registration is free. North Carolina For Military Employment (NC4ME) is a public-private partnership designed to make North Carolina the number one state for military employment. CyberVetsUSA is a program that provides free training and employment opportunities to veterans, transitioning service members, National Guard and Reservists, and their spouses. Offering the latest cyber courses and certifications from some of the industry’s leading tech companies, CyberVetsUSA is a skills-to-job pathway that aims to fast-track those coming out of the military into high-demand cyber careers. The Gold Card initiative provides unemployed post-9/11 era veterans with the intensive and follow-up services they need to succeed in today's job market. The Hero 2 Hired program is a Yellow Ribbon reintegration program where users can search for jobs, take career assessments, find out about virtual career fairs, plus other job fairs and much more. USA Jobs for Veterans - USA Jobs is the Federal Government’s official one-stop source for federal jobs and employment information. The G.I.Jobs website has career tips for transitioning service members including advice on effective resumes, interviewing tips, and various other useful career advice. Users can sign up for a free digital subscription to the G.I. Jobs magazine. G.I. Jobs provides individuals transitioning from military service to a civilian career useful assistance, and gives military-friendly employers a comprehensive vehicle to recruit transitioning service members. Feds Hire Vets provides federal employment information for veterans, transitioning military service members, their families and federal hiring officials. U.S. Military Pipeline - Here job seekers can create a profile, take a career assessment, view and apply for jobs in various industries throughout North Carolina. Job seekers must setup an account to apply for jobs, but the account is free. Recruit Military is a veteran-owned company dedicated to helping American veterans achieve their dreams: education, veteran and civilian careers, new business and franchise ownership, training, and much more. This service is provided free to veterans and their spouses. The CareerOneStop site is a portal for veterans seeking employment, training and financial help after military service. The site includes a military to civilian MOS/MOC job translator, access to career resource information, occupational projections and jobs-in-demand. Military.com is a free site which offers resources on military transitioning, veteran jobs, career advice, military occupation converters and other employment related information targeted towards the military. The U.S. Chamber of Commerce Foundation launched Hiring Our Heroes, a nationwide initiative to help veterans and military spouses find meaningful employment. Veterans can find links to job fairs in their area and in other parts of the US. The Army Wounded Warrior Program (AW2) is the official U.S. Army program that assists and advocates for severely wounded, ill, and injured soldiers, veterans, and their families. Contact the Wounded Warrior Resource Center at 1 (800) 342-9647. For additional information about any of our services, contact our state Veterans Services hotline at: (919) 814-0452. The U.S. Department of Labor, Veterans' Employment and Training Service (VETS) - VETS serves America's veterans and separating service members by preparing them for meaningful careers, providing employment resources and expertise, and protecting their employment rights. VETS also monitors the Transition Assistance Program (TAP) that is currently conducted by contractors at selected military installations. It is designed to meet the needs of separating service members and their spouses by facilitating the transition from military service to the civilian workplace. The Army Career and Alumni Program (ACAP) was created by the Army to help its service members succeed in their transition from military service. This program is conducted in conjunction with TAP. The program provides a variety of transition assistance services, including employment assistance, relocation assistance, and career counseling for employers. The Department of Veterans Affairs - A world-wide resource that provides information on veterans programs, benefits, facilities worldwide, and medical automation software. The Veterans Crisis Line connects veterans in crisis and their families and friends with qualified, caring Department of Veterans Affairs responders through a confidential toll-free hotline, online chat, or text. Veterans and their loved ones can call 1 (800) 273-8255 and Press 1, chat online, or send a text message to 838255 to receive confidential support 24 hours a day, 7 days a week, 365 days a year. Vet Success - Sponsored by the U.S. Department of Veterans Affairs, this site offers several resources to help veterans transition from military to civilian life, as well as information on benefits. The North Carolina Department of Military & Veterans Affairs advocates for veterans and their families by offering assistance through a network of District and County Veterans Service Offices. 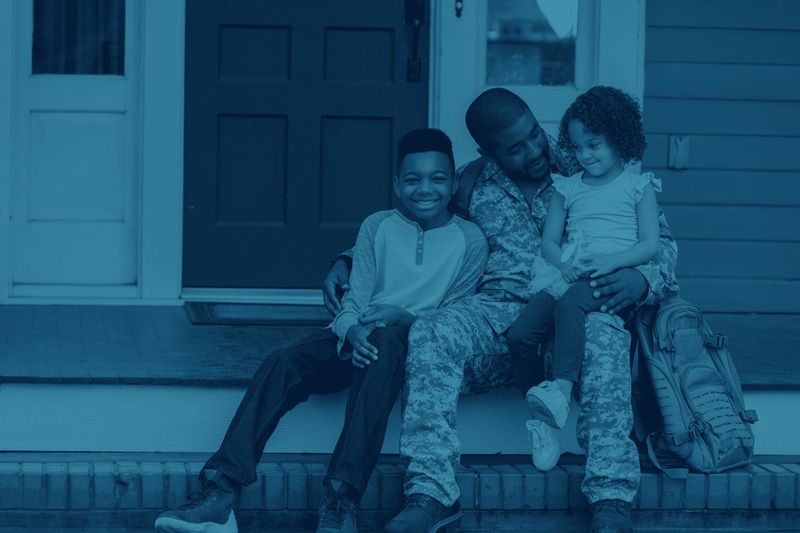 The DMVA assists veterans and their families in establishing claims, privileges, rights and benefits that veterans may be entitled to under Federal, State or local laws. The Veterans Employment Center provides public and private job opportunities, a resume builder, military skills translator, and access to detailed career and training resources. The website is part of the federal Joining Forces Initiative.